Hair, Skin & Nails has been specifically formulated to naturally aid your hair, skin and nails. 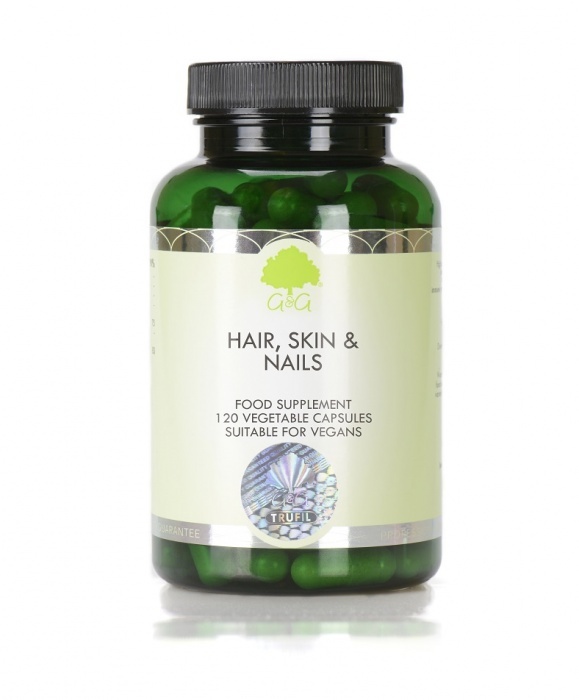 Hair, Skin & Nails is a supplement with a difference. Our unique blend brings together a balanced blend of vitamins and minerals that contribute to the maintenance of normal hair, normal skin and normal nails. Our Hair, Skin & Nails formula also contains OptiMSM, spirulina, bamboo and hyaluronic acid. These incredible ingredients help us create a beauty supplement like no other, supplying a host of natural beautifying nutrients. *WHAT DOES COMPLETE BEAUTY DO? Maintenance of normal skin and vision. Take 1-3 capsules daily or as directed by a healthcare professional. Store in a cool dry place out of the reach and sight of young children.